At NetLink Solutions, we pride ourselves on our customer service. It is the main reason why our company is great! The way we treat our clients speaks volumes when it comes to our strong work ethic. Receiving a letter like this reassures us that we have taken the correct path as a business. We are so thankful for our engineers and their willingness to go over and beyond for our clients. 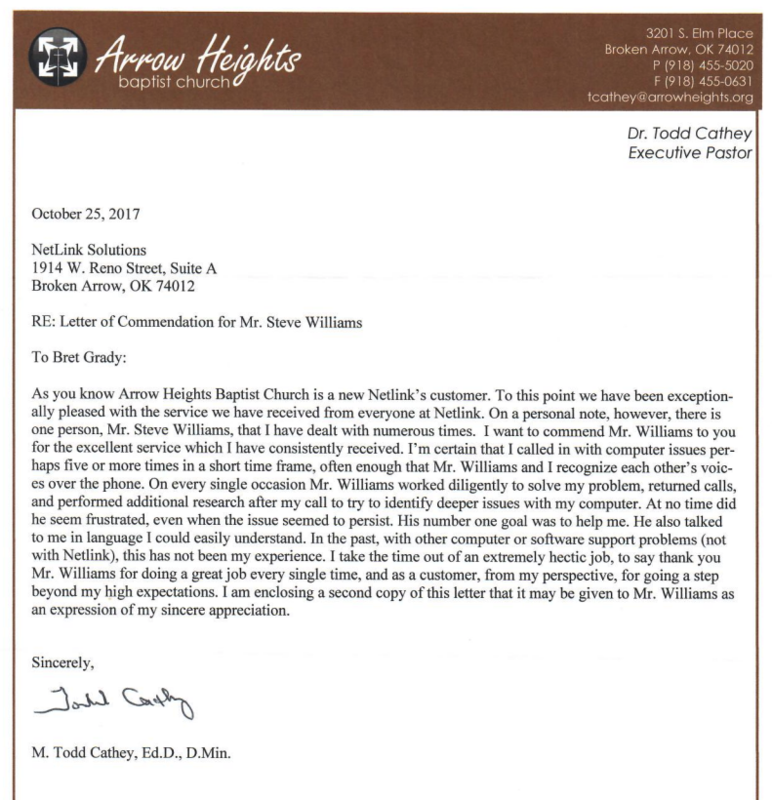 Receiving an unexpected and gracious appreciation is always a treat to our engineers and to our company as a whole. Way to go Steve!